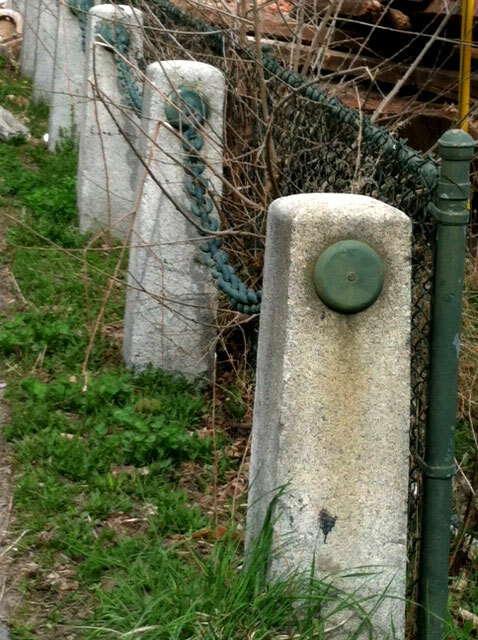 These granite posts with guide chains make excellent driveway or path markers. They are 9-3/4" square at the base and 38" tall. They were installed 82" apart (center to center). We only have 20 of these posts available so they will not be around long! Samples are available at our office for viewing or we can ship them to you.